Spring is here. Get out and train! 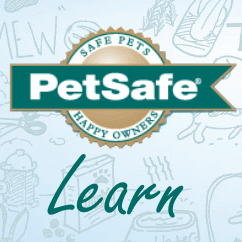 It’s PetSafe’s Spring Training month. Could there be a better time to get outdoors and train your dog? It doesn’t take much time to have a star: just a consistent 15 minutes a day. 'Tis the season for visitors and guests. And your dog is ready and willing to add barking to the celebration. While that may prove aggravating to you or even scary to your visitors, it's important to realize barking is a normal part of canine communication. To figure out how to muffle the noise, first we must understand why dogs bark. Dog barking can be a big headache and major nuisance. In some areas you can even be fined for your dog barking excessively and disrupting your neighbors. To successfully keep your pooch calm and collected, you first need to understand why he's barking. Try these training methods to help your dog learn he doesn't need to bark so often. You come home from work and find a note on your door from your next-door neighbor about your dog's barking. How do you know if your neighbor is just being too sensitive? Isn't barking normal for a dog? Walk through any neighborhood at night and you'll hear it: the sound of barking dogs. Why does your dog bark when the sun goes down, even to the point of keeping you and your neighbors awake?